I will be happy to personalize and autograph any book you purchase through my store, Luna Sol Esoterica. Payment for books may be made by calling my store at 321-363-4883 for credit card orders on Wednesday thru Saturday, 10am - 6pm; Sunday 11am - 6pm. For shipping in the Continental United States, please add $8.00 to the cost of each book ordered. For Hawaii and Alaska, please add $12.00 shipping per book. 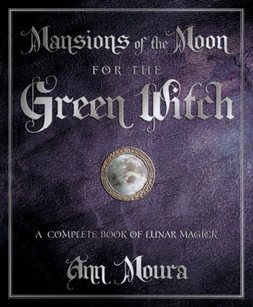 Mansions of the Moon for the Green Witch [an advanced book of lunar magic for Esbats that incorporate the energies of the ancient mansions in harmony with the Witches' Rede of "Harm None"]--$19.99. Green Witchcraft: Folk Magic, Fairy Lore, & Herb Craft [an introduction to my Hereditary Tradition]--$16.99. Green Witchcraft II: Balancing Light & Shadow [more advanced book about working with the Dark Power Aspects of the Divine, including working with familiars and how to use the Celtic Ogham for divination]--$16.99. 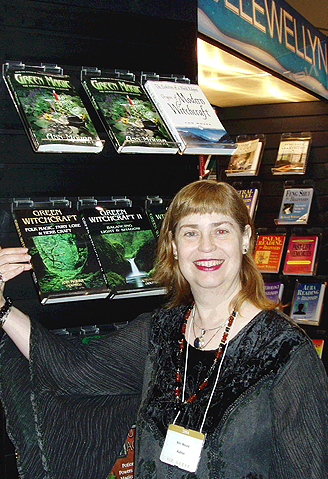 Green Witchcraft III: The Manual [a teaching guide based on a course I have taught using GW I as the textbook]--$16.99. Green Magic: The Sacred Connection to Nature [more advanced book on the nuts & bolts of magic and moving energy; does not contain rituals, spells, or meditations]--$16.99. COALITION OF VISIONARY RESOURCES AWARD WINNER!! [duplicate of my personal Book of Shadows & Grimoire; contains rituals, correspondences, divinations, teas, baths, oils, etc., designed to be used like a cookbook rather than as something to read]--$21.99. Tarot for the Green Witch [learning Tarot from the perspective of Witchcraft and Nature, with charts, meanings of multiples, numerology uses, spreads, and a concordance pairing every card with every other card in the Tarot to show how the energies blend for interpretation in a reading]--$16.99.